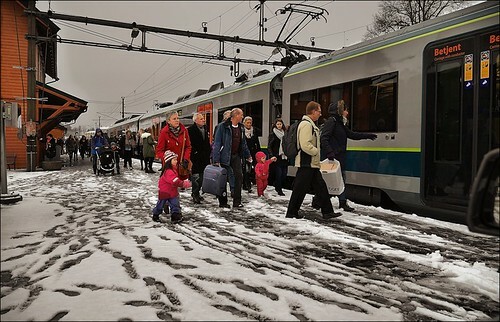 Today a photo of commuters "Going home for Christmas" at the railway-station in the village Askim some 60 km South-East of Oslo. A good mix of children and adults carrying their parcels and suitcases to the train. The wet snow typical for this time of the year.